Thanks to one of our readers we now know that there will be exclusive Cutie Mark Crew sets, as this set has been spotted at Target. 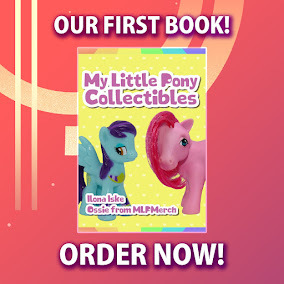 This set called the "Sparkly Sweets" Set and contains the whole mane-six as ponies + Spike and a hidden figure. (who turns out to be Princess Celestia with a glitter mane) Each figure also comes with a cute Glitter-Covered Food-themed item hence the name Sparkly Sweets. 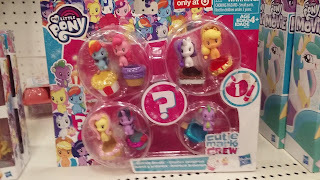 Anyway if you're a big fan of the Cutie Mark Crew line, you can get this set exclusively at Target. Thanks a lot to Breyer600 for the heads up and image! I hope these will release in Philippines. I'm a pegasister since Grade 3 until now I'm Grade 9. MLP is love💖. Princess Celestia...? Why not Princess Luna? !